Maelstrom bait runner reels include features that are not available elsewhere in a higher price range. 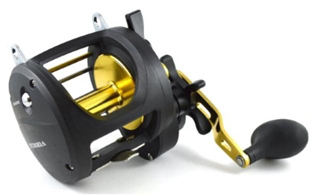 Garden City, Long Island, NY (April 11, 2015) — Eposeidon Outdoor Adventure, Inc. (http://www.eposeidon.com) has announced the release of its newest fishing tackle product, the Ecooda Maelstrom bait runner spinning reel. The Ecooda Maelstrom spinning reel has classic front and rear drag functions that are often referred to as bait runner or bait feeder style spinning reels. Named after powerful swirling ocean vortexes that create havoc in the water, the Maelstrom has been designed with key features that are important to anglers. It was created by anglers for anglers through direct input from Team Eposeidon, Eposeidon’s Angler Consultant Staff for the North American market, which resulted in the reel’s technology loaded design. “We took a look at what was out in the market for bait runner reels and realized we could build a reel with more features than our competition’s upper end models while keeping the price point on par with their low-end bait feeder reels. For example, we use eight high-quality stainless steel shielded ball bearings, and a triple disc carbon fiber drag washers, which exceeds other top of the line models,” says Tom Gahan, Marketing Director at Eposeidon, Inc. The Maelstrom spinning reel lets a fish bite and run with trolled or drifted live bait without feeling the line or the reel’s drag. When the angler is ready to set the hook, a turn of the handle or a flip of the main drag lever instantly engages the pre-selected maximum front drag tension. The secondary drag can be set to zero to let line out or just enough tension added to control the action of live bait. The Ecooda Maelstrom is equipped with eight high-grade shielded stainless steel ball bearings plus a stainless steel anti-reverse roller bearing, triple carbon fiber drag washers, stainless steel main shaft , a patented “Wonder Dome” forged aluminum spool that has near zero start up inertia resistance for smooth drag performance, special formula high modulus non-rusting graphite body, and a machined aluminum direct drive interchangeable left or right handed handle with oversized EVA nonslip grips. As a bonus, Maelstrom reels come with an additional graphite spool at no charge. Maelstrom is saltwater approved. The Maelstrom bait runner is available in 2000, 3000, 4000, and 5000 class sizes. With a MSRP spanning from $64.98 – $70.98 the Maelstrom will initially be sold in the mid $50 range. Heavy duty high-tech conventional reel with unique features for offshore fishing is now available only through Eposeidon for the US and Canadian markets. Hempstead, Long Island, NY (September 25, 2014) — Eposeidon, Inc., the North American distributor of Ecooda fishing reels, has introduced the Ecooda Ocean Master Conventional Reel. A unique feature of the Ecooda Ocean Master (EOM) is its unique patented double level-wind support shafts that gives outstanding stability and unwavering pressure on retrieve. Ecooda Ocean Masters also have a patented double support bearing system on its stainless steel main shaft that adds superior strength and longevity to the reels. Available in left and right handed models, all Ecooda Ocean Master Fishing Reels feature carbon fiber drags for smooth operation and performance needed to fight big game fish. EOM 30’s have 33 lbs. (15 kg.) of drag and EOM 50’s produce 44 lbs. (20 kg.) of drag. It is an exceptional amount of drag power for reels in that class size. 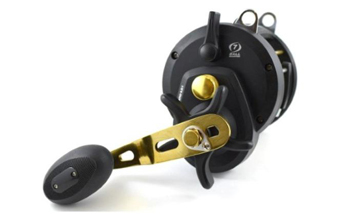 Ocean Masters have 7 shielded stainless steel ball bearings (patented double bearing support on the main shaft), precision machined brass gears and stainless steel components for maximum strength and durability, 6.2:1 gear ratios, ceramic line-guide inserts, and a reel-foot locking plate to keep the reel securely clamped to the rod shaft while battling big fish. Its frame is constructed from high-modulus graphite for a higher stiffness to weight ratio. 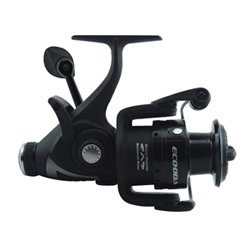 Ecooda Ocean Master Fishing Reel‘s retail pricing begins in the $120 range. Eposeidon offers free shipping on orders over $20. Eposeidon (http://www.eposeidon.com) is an e-commerce company (Eposeidon Outdoor Adventure, Inc.) that brings a fresh, innovative approach to anglers by offering quality products at the best prices and no cost, or low cost shipping. Eposeidon’s goal is to exceed expectations through outstanding customer service and superior product value to their customers. Eposeidon is continually expanding its product lines, which include KastKing™ fishing line, fishing reels, and fishing rods, MadBite fishing lures, Ecooda reels, and other fishing tackle products, to meet individual fishing equipment needs. Eposeidon is headquartered in Hempstead, NY, USA and sells fishing tackle products globally. Eposeidon is the sole North American Distributor for Ecooda fishing reels. Eposeidon showcases their lineup of exciting new KastKing fishing rods at booth 1702 along with KastKing fishing reels, Ecooda reels and MadBite lures introduced for 2014. 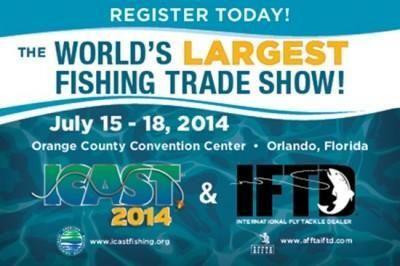 Hempstead, Long Island, NY (July 8, 2014) — Eposeidon Outdoor Adventure, Inc. (http://www.eposeidon.com) will rock the fishing tackle world at the 2014 ICAST (International Convention of Allied Sportfishing Trades) set to take place July 16 through 18 at the Orange County Convention Center in Orlando, Florida. Located at booth 1702 will be Eposeidon’s array of the company’s latest fishing reels from their KastKing and Ecooda reel division, KastKing fishing lines, and lures from the MadBite division. Being introduced at the 2014 ICAST show will be Eposeidon’s new line of spinning and baitcasting fishing rods, including unique models for specific applications. 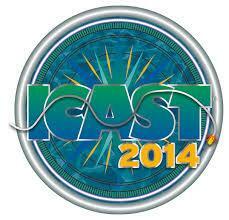 ICAST is the leading annual sportfishing trade show hosting thousands of buyers and sellers of the sportfishing industry from around the world. Eposeidon, which has been stunning anglers since its introduction of high quality braided fishing line selling for a fraction of the price of other brands, is making strong headway in other areas of the fishing tackle industry. Eposeidon, which is also the exclusive North American distributor of Ecooda fishing reels, introduced 6 new spinning reel models from their KastKing product line in the first half of 2014 including the KastKing Blade, Orcas, and Triton – all featuring carbon fiber drag washers as standard equipment, 5 new models of low profile baitcasters, and 10 models of their new RXA conventional baitcaster. Eposeidon will have a special wholesale dealer program in place at the 2014 ICAST show that allows qualified buyers to place a minimum order at a discount that is usually reserved for much larger product stock orders. The offer includes free shipping. Buyers need to visit Eposeidon at booth 1702 to place their order. “We want buyers to have the ability to try out our products on a small scale order, even if it is only just one piece so that they can experience our quality and customer service,” added Cui. Eposeidon (http://www.eposeidon.com) is an e-commerce company (Eposeidon Outdoor Adventure, Inc.) that brings a fresh, innovative approach to anglers by offering quality products at the best prices and no cost, or low cost shipping. Eposeidon’s goal is to exceed expectations through outstanding customer service and superior product value to their customers. Eposeidon is continually expanding its product lines to meet individual fishing equipment needs. Eposeidon is headquartered in Hempstead, NY, USA and sells fishing tackle products globally. Ecooda® inks contract with Eposeidon Outdoor Adventure, Inc. as the sole distributor for Ecooda fishing products in the United States and Canada. Hempstead, NY, USA (May 30, 2014) — Executives at Eposeidon Outdoor Adventure, Inc. (Eposeidon, Inc., http://www.eposeidon.com) based on Long Island, New York, and Ecooda®, which manufactures a variety of spinning and baitcasting reels and other fishing products, have entered into an agreement recognizing Eposeidon as the sole agency representing the Ecooda® brand in the North American region of the US and Canada. 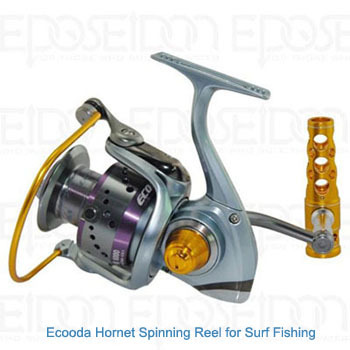 Ecooda® reels are already on Eposeidon’s warehouse shelves. 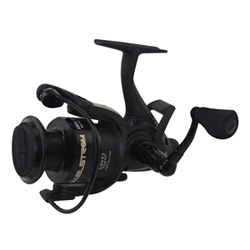 Spinning reel models include the high performance surf model Hornet, the high-tech Black Hawk built with carbon fiber components, ERS Max Drag Power which comes with features usually only found in reels selling for hundreds of dollars more, and the CZS series that offers a quality reel at the economy level. 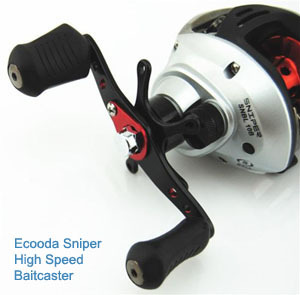 Presently Eposeidon also markets Ecooda® baitcasting reels, the Sniper High Speed, and the Shadow. Other models are under consideration to be added. Ecooda® reels have enjoyed a solid reputation and wide acceptance among Australian and European anglers for the last several years. Eposeidon also markets a line of spinning and baitcasting reels under their own KastKing™ brand. For more information about Ecooda® and Eposeidon visit http://www.eposeidon.com.